Did you know that accurate lead scoring can result in a 192% higher average lead qualification rate? Unfortunately, the task of effectively assigning weights to each inquiry can seem daunting. 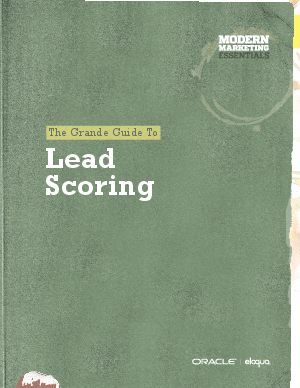 Use this guide to learn the basics of lead scoring so you can enable your marketing and sales teams to identify where each prospect is in the buying process. The faster close rates will seem…well, magical.